﻿﻿﻿fragments from conversation with michael lydon in his studio. in the 60’s michael left an anemic rock beat at newsweek to help co-found rolling stone. he started out tagging along as part of the national psychedelic entourage but his writing and candor brought him closer to the center, sat him next to mick jagger on rough flights and made janis joplin suggest maybe he wanted to pick up a harmonica and give it a try too. matched with encouragement from his the likewise excellent and dedicated pianist ellen mandel, he began new life as a loving crooner. file under: writer-musician/musician-writer/all-around-mensch. michael lydon plays cornelia street cafe tuesday december 12th at 830. Cornelia’s vocal festival concludes Sunday night with Talia Billig, a self-taught singer whose graceful disavowal of genre & type make way for a clear voice unbound. She sings from the piano alongside her band of kindred New Schoolers, and was kind enough to spare a few words with us here. How old were you when you first began teaching yourself to play music? From what I hear, I started playing piano at age three. My grandmother had a piano in her Washington Heights apartment that I believe functioned more as a frame holder than anything else. I do remember the initial sensation of that piano and just understanding it. From then on I would seek out whatever pianos I could find. There was an elderly couple next door to us that had a piano and I would just wander over at any point in the day asking to play it. Eventually my parents got me my own. I was in love. Was there anyone around you family & friends-wise who provided encouragement/inspiration? My family was incredibly encouraging, but no one in the immediate family played, so they just were really amused that they had a daughter that figured it out. I learned by piecemeal. My parents’ dear friend Elliot is an incredibly gifted guitarist, also by ear. He was a really helpful creative sounding board as I was growing up. I was also fortunate to go to a school that encouraged me to pursue my music. What sorts of music did you initially learn, and how, if at all, did that differ from what you’ve come to play since then? The initial music that I was playing was whatever I heard and loved, whether it was classical or contemporary. I was able to play what I heard, so I learned what I heard in my own house, which was a lot of folk, soul, and old Israeli deliciousness (my father’s side of the family is Israeli). I’d like to think that the folk stays with me today. Tell us a little about your time at the New School. What led you there in specific? How did it differ from a more traditional conservatory setting? My path to the New School was definitely not direct. I knew that I wanted to pursue my music, but I had a lot of questions because I had never placed myself in any sort of box before. I didn’t know if I should study piano or voice, and I was in no place to decide what genre to study. I eventually chose The New School deliberately, because they appeared to be the most open to new ideas while still remaining small and nurturing. I was entirely right in that initial impression. The New School provided a really open environment for me. It definitely differs from a more traditional conservatory setting because it’s called The New School for Jazz and Contemporary Music, and they work hard to make sure they live up to that name. You’re required to take all the courses of a standard jazz degree, but can also elect to take ensembles in some really fascinating genres (almost all of which I did). In my first semester I took a Middle Eastern Ensemble with Israeli legend Harel Shachal that completely changed my life. In the end, I started to realize that I was not cut out to be a jazz singer in the purest sense of the form. I began to compose my own songs. Eventually I worked up the courage to put together a group of my best friends to play these songs. Again, the New School — being the excellent haven for creativity that it is — allowed the band to be considered an “ensemble” with a faculty advisor. We chose Richard Boukas: a prodigious guitar player and singer who excels in literally every single variety of music. His advice was brilliant, sensitive and intuitive. He somehow taught me my own patterns of songwriting with each suggestion. When did you realize that your classmates were also the perfect people to become your bandmates? I realized that from the first mangled draft of a song I brought in. They were able to sidestep my neuroses and bring their own brilliant and unique ways of playing and thinking into my music from day one. They made my songs come alive. These days I couldn’t be happier than when I’m playing with them. There’s a lot of pressure on young singers coming out of jazz school to hire bands, or to find bands of very well established pros, but I really believe in just playing with your absolute best friends. Everyone in my band is fully invested and I consider each member to be completely essential and irreplaceable. They’re like my brothers. What can folks expect to experience at your performance this weekend? What do you hope they’ll come away with? I’d say expect to smile. Expect some really joyful music to be made. This is a group of people that just really loves playing music together. 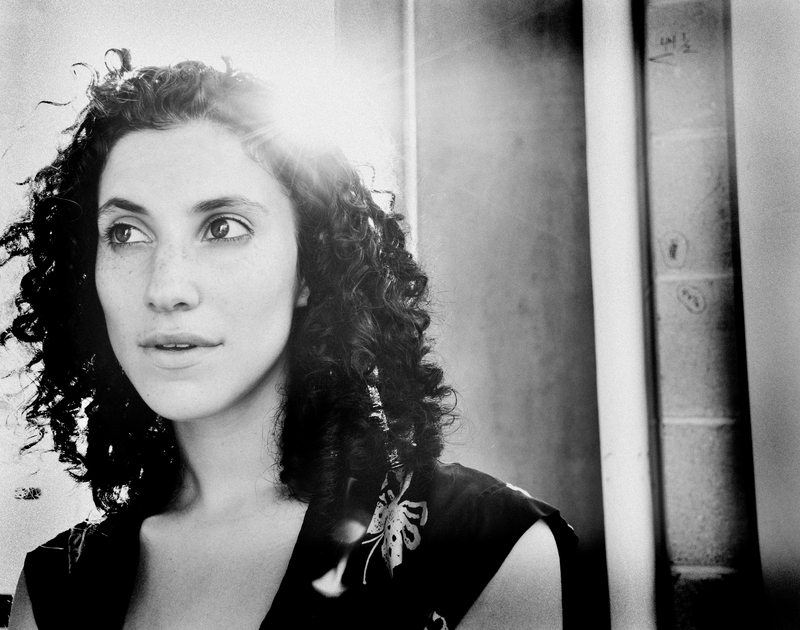 Talia Billig appears downstairs on Sunday, August 14th at 10pm, with Francois Rousseau, guitar, vocals; Dan Parra, bass, vocals; and Marc Beland , drums, vocals. Call 212/989-9319 or visit http://www.corneliastreetcafe.com for reservations. This week we celebrate the inauguration of Cornelia Street Cafe’s new podcast series “Live From Cornelia Street”. Every week we broadcast another new and outstanding recording made from our very own downstairs. Visit this page to access our embedded player or simply click here to subscribe via iTunes. Artists already featured include Tim Berne’s Los Totopos, Tom Rainey Trio, Matthew Brewer Quintet, and Jeff Davis Band. In this way we continue to bring the best of 29 Cornelia Street to our friends everywhere beyond its walls. Tell us a little about your background in the City and with the Cafe. Well I’ve been in NYC since 1994, and playing Cornelia for almost as long, through the tenure of several music curators. I’ve appeared as a leader and a sideman, with my own groups as well as the projects of others. This Tuesday is my first chance to start working with [music curator] Tom Chang, who I think has been really positively affecting people in the community through his booking policies there and his proactivity. We’ve got a lot of thanks to give for that; we also have a lot of thanks to the folks who actually come to the shows. Those two I imagine go hand in hand, of course. How long have you been playing with this configuration of folks you’ll be appearing with? I’ve made three records as a leader. The most recent one features three of the four other musicians that I’ll be working with Tuesday: Saxophonist Chris Cheek, who just finished up with Paul Motian at the Vanguard last week, pianist Henry Hay, with whom I’ve recorded two records, and also Matt Closey. Drummer Greg Richie is also no stranger to Cornelia Street as an active drummer on the scene, and has his own group called The Story with whom I think he’s out of the country touring right now. The CD we recorded is called Rebound and it was released at the end of 2008, and I’ve continued to write music for that ensemble. There’s an album I’ve recorded called Sensor Songs, and we’ll be playing music from that as well. What are some of the specific challenges and opportunities for composing and arranging around and for the vibraphone? Well the things I enjoy about it are the sound of the instrument and the way that these particular musicians interact with and interpret my music. In general I try to program a night to be diverse enough for myself to show people the different aspects of my musical personality, so I spend a lot of time thinking about where and how songs will be played throughout the night. Really the challenge is to make the music sound as personal and true to myself as I can and to deliver for people the composition I’ve written as accurately and articulately as when I conceived it. As a vibraphonist I’ve grown up in the shadow of folks like Gary Burton, whom I studied with, and Bobby Hutcherson and Mill Jackson. These people have had a huge impact on the instrument, and they continue to. So it can be a real challenge just to work on your own voice and make sure you’re challenging yourself every chance you can. Can you sense feedback from the audience from your vantage point on the stage? I think the feeling of feedback is enhanced by the intimate size and layout of the club, for sure. But it’s also about who’s there and what kinds of things you’re doing as a musician to elicit their responses. It used to be audiences only applauded after a solo if it was a good solo–now it’s become commonplace to applaud no matter what. But I mean, applause aside, if you’re playing and there’s no audience there, it’s kind of like ‘Well what’s the point of playing?’ Conversely, if you’re a musician playing to a full house but you’re ignoring the audience, you’re also missing the point too, so I think it goes both ways. As a bandleader, you really should be thinking about that, I think, although I’m sure a lot of people see differently about it. Do you tend to feel when a show has gone well? Well I mean, the first thing is if the band doesn’t make a train wreck, well then that’s an indication that the show has gone well. The second thing is if people actually come to the gig, and then if there’s any money to actually pay the band at the end of the night. Those three things are actually very significant [laughs]. Other than that, I tell ya, I can’t accurately give you an example of what it is that’s actually happening that would make someone feel like it’s going well. I’ve played gigs where I’ve felt completely terrible about everything that I’ve done, and then’ve had people come up to me after and say “Man that was such a great solo” or “wow, such ao great gig,” and I’m just shaking my head like ‘How can that be? I feel like I’m doing terrible and you think this is great.’ And I’ve had this happen in the opposite situation, where I’ve thought I was playing really well and’ve gotten no feedback from anyone. I think at the end of the day it’s a personal goal that you just sort of go for and that’s it. The Musician Quest, you know, It’s just so variable and personal. Tom Beckham appears tonight at 830pm with Chris Cheek on saxophones, Henry Hey on piano; Matt Clohesy on bass; and Greg Ritchie on drums. http://www.corneliastreetcafe.com or 212/989-9319 for reservations. 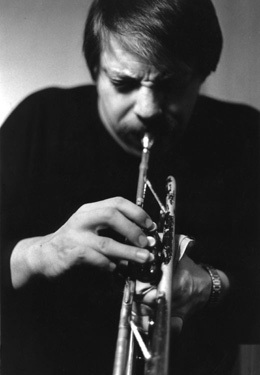 Veteran Jazz trumpeter John McNeil has been appearing with regularity at Cornelia since 2004, when curator Poul Weiss saw him perform with John Abercrombie and insisted on bringing him down to the Cafe. From the first show forwards, McNeil’s gigs downstairs drew strongly and were frequently made a pick by Times. When RH opened up Night And Day in Park Slope, he gave McNeil and collaborator Bill McHenry a Sunday night weekly. Their premise: Reworkings of what McNeil calls “forgotten jazz tunes”, buried numbers from the famous and esoteric alike. Results were again positive; not too long after installation in the Cafe basement they could be found in weeklong residence at the Village Vanguard. McNeil & McHenry ultimately recorded two albums, the second during a pair of November performances in the Underground. This Friday at 9 & 1030pm McNeil & McHenry appear with a quintet to honor New England Conservatory’s Jazz department, which celebrates its 40th birthday with a series of performances throughout New York. A moursel of “Godchild”, taken from McNeil & McHenry’s Rediscovery, can be nabbed here. Saturday, February 27th at 9&10pm, we are joined by the Jason Rigby Quartet, featuring Rigby on tenor sax, Cameron Brown on bass, Michael Holober on piano and Anthony Pinciotti on drums. 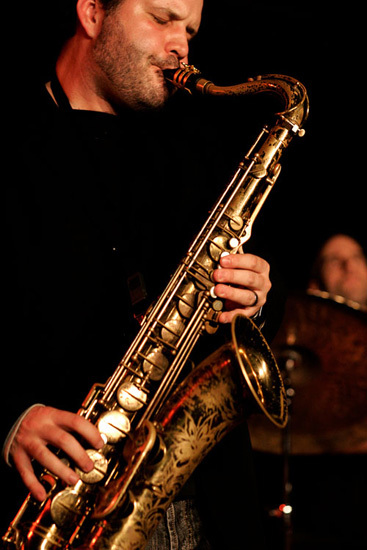 Rigby has been hailed as “a truly lyrical musician” and “New York’s rising star of tenor sax.” His unique voice deftly combines many influences – critics recognize the creative mindset of Wayne Shorter, the energy of John Coltrane, and the elasticity and compositional style of Ornette Coleman and Paul Motian – emerging as something wholly new, compelling and yet recognizable. His leader releases “Translucent Space” (2006) and “The Sage” (2009), Fresh Sound Records, received stellar reviews and feature Rigby originals in a larger format, the latter of a quintet. This TRIO outing features a whole new collection of compositions penned exclusively for this band, and brings forth a fresh expression of the celebrated tradition of tenor trio. From Jim Macnie in the Village Voice:“…the saxophonist’s quintet sustains a daunting finesse while swinging full tilt on the new The Sage.” Cover’s $10. Sunday, February 21st at 8:30pm, Cornelia welcomes the meeting of Dave Liebman and Ellery Eskelin. As the band name suggests, Liebman and Eskelin come from two different yet compatible areas of the jazz improvisation continuum. Liebman emerged in the late ’60s early ’70s appearing on John McLaughlin’s My Goals Beyond, Miles Davis’s classic On the Corner and Dark Magus. He went on to form the bands Lookout Farm and Quest, create an incomparable duo language with pianist Richie Beirach, and become one of the most influential players and jazz educators of our time. He continues to work with a host of musicians in duo, small group and big band settings. Eskelin came up in the generation following Liebman’s, moving from his native Baltimore in 1983 and jumping into the cauldron of New York. 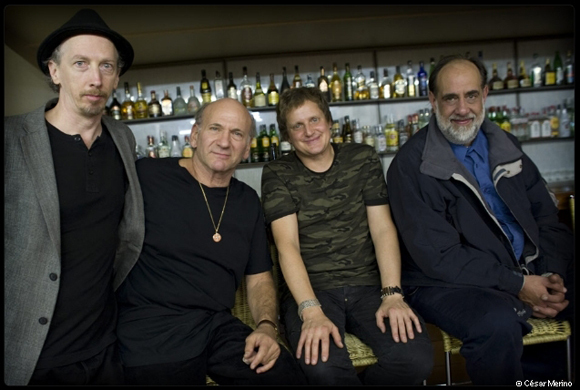 Finding a strong affinity with the downtown scene he joined drummer Joey Baron’s group, “Baron Down”, an experience that proved to be an important catalyst in his own work fostering an increased interest in new and unusual instrumentation. 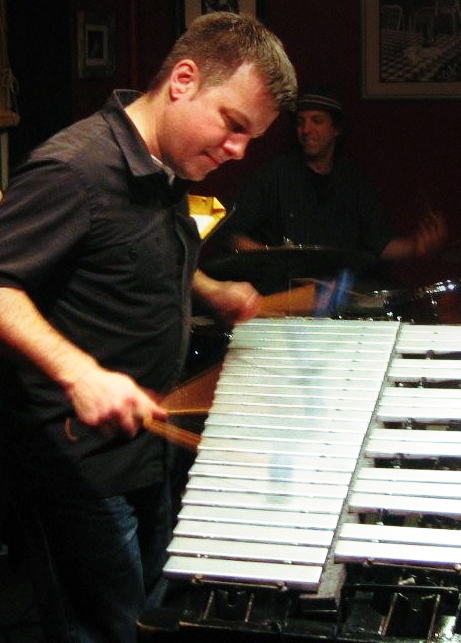 In 1994 Eskelin formed the group most often associated with him including accordionist Andrea Parkins and drummer Jim Black, called “…one of the finest units in progressive jazz” by Downbeat Magazine. Over the years Eskelin has worked with a broad cross section of jazz, avant-pop and new-music figures, leading him to be further dubbed “A major player in today’s creative music. In 2009 Eskelin was commissioned by Chamber Music America to compose an extended composition for Different But the Same for CMA’s New Jazz Works grant series. The group will be debuting the composition this evening at the Cornelia Street Cafe. You are currently browsing entries tagged with jazz at Cornelia Street Café.